Our discussion on small business ideas in Malaysia, the blissful country of the South-east Asia, is beset with so many natural resources that we cannot but leaving in astonishment, how can we use it properly in term of business purposes as they are in plenty. This multi ethnic and multilingual country is open towards every race, religion, culture including its Chinese, Indian, Malaysian population which is nothing but releases the invitation to do business and so on among the whole world. Before we go through the business ideas, we have to know about the economy of a country as well as its openness and restriction on foreign investment. To help with the idea, we can add that Malaysia is an open state- oriented country and it has the best economic records in Asia which includes GDP about 6.5% growing annually within the years of 1957 to 2005. Vision 2020 of Mahathir Mohammad, the former Prime Minister of Malaysia is no more unknown to anyone, which would make Malaysia a self-sufficient country. Why not, to support his vision, the government has given liberty through the foreign participation in the services sector to attract more foreign investment since 2009. They have removed the certain restrictions on foreign participation in industries as computer- related consultancies, tourism, and transportation. In 2011, the government began to allow 100% foreign ownership in the sectors as follows- retail, healthcare, education & in professional education, environmental and so on. As we know about the country, its economy and the law of investment, it is very smart to act wisely while doing Small Business in a foreign or in our own country. Because, small business consists of small amount of capital as well as employees and furthermore, that capital often related to our emotions as it is the last hope of most of the people. By keeping these things in head, we can divide the small business ideas into two distinct parts according to the natural resources of Malaysia. The one is- Utilizing the Natural Resources & the other one is Tourism. Read Also: How to register a small business or company in Malaysia? Petroleum– Petroleum is one of the leading issues worldwide and it is one of the leading resources of Malaysia also. Malaysia is an exporter of natural and agricultural resources, and petroleum is a major export. 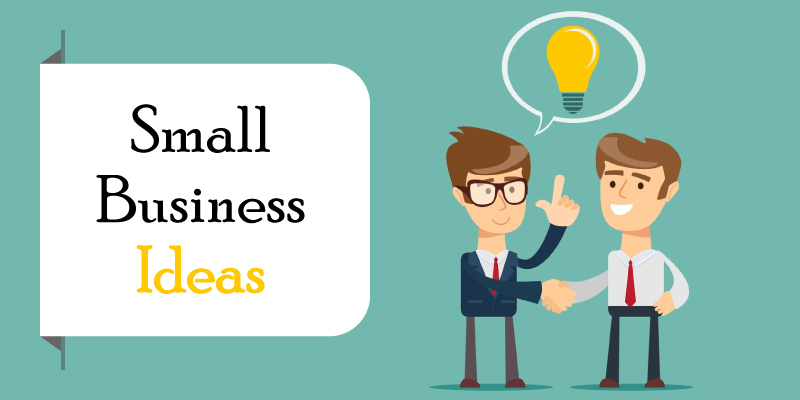 One can start his small business with his small amount of capital there and it is very successful idea to do so. Natural Gas– Malaysia is blessed with natural gas and one can do his business by exporting or importing this resource. Palm Oil– Malaysia is one of the world’s largest producers of palm oil and it is said that the 60 percents of palm oil in worldwide come from the Malaysian palm trees. So, it is also a wise to be a palm oil dealer as a small business. Rubber Plantation– It is said that Malaysia was once the largest producer of tin, rubber and palm oil in the world. Manufacturing has a large influence over the country’s economy. It will be the profitable business as well. Hotel Business- To aid the tourism sector, Malaysian government is friendlier on investing in hotels and residences businesses. So, it will be a smart of anyone to invest in this sector to start his business. Restaurants- Tourism paves the way to the restaurant owners to build their profits. One can build his business in this sector to cope with the tourist. Shopping Malls- Who would not love to be in shopping mall whereas it’s also a source of entertainment for the tourists as well? Investing on shopping malls would be a clever idea to do business in Malaysia. Tourist Guide- Tourist needs a guide to relish the area. If the guide is believable or comfortable, the tour brings the immense of happiness and that tour loads with happy memories. Thus, the businesses like tourist guide, travel agency or company will end up with a great amount of profits with peace of mind. Food Court/ Franchises/ Chain Shops – Small food courts, street foods lead the way of a smart business choice. One can start any popular franchises or chain shops which make him popular through the natives also. Entertaining Parks- Investing on parks, amusement or entertaining parks can be an exclusive idea where the tourists and natives can breathe after an exhausting period of times. Transportation/ Taxi/ Cabs- Aiding in transportation, through buying taxi or cabs or even manpower as a taxi driver would be another choice of starting a business in Malaysia. Apart from the above discussion, there are more business ideas in Malaysia, such as, Electric & Electronics (E&E), Internet business, Electrical Gadget services, Professional or Counselling services, Educational or Medical health services etc. To sum up, we have to depict the maximum thoughts in minimum diction that Malaysia is the name of so possibilities, natural resources and open country that everyone is welcomed to fulfill his dream of a successful small business there. More detail of on different types of business in Malaysia for local and foreign entrepreneurs.